A lot of what separates good dining from great dining is chemistry — and we do not speak of the kind found via ill-fated Tinder hook-up. The act of cooking is actually a series of chemical reactions, food transforming under the physical forces of heat. 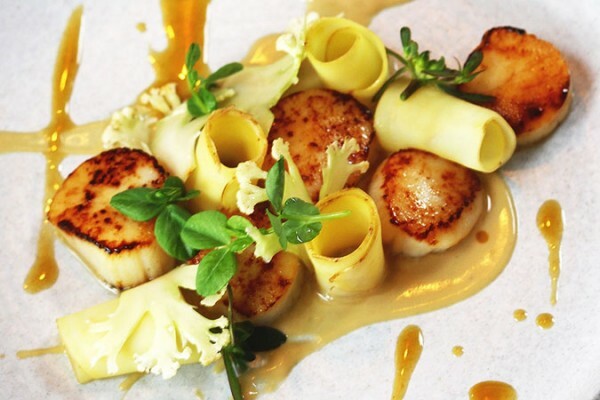 The perfect steak, the crème brûlée, the seared scallop; part of what makes a chef great is their knowledge of exactly how to use heat to perfect an ingredient. But what if the chef isn’t using heat at all? That’s the idea behind the raw food movement. While deeply rooted in the ever-so-vegan wilds of health cooking, raw food officially became a test of a chef’s skill during the early 2000s, as some of the biggest names in dining proved that they could serve a dish that’s just as good uncooked as cooked. 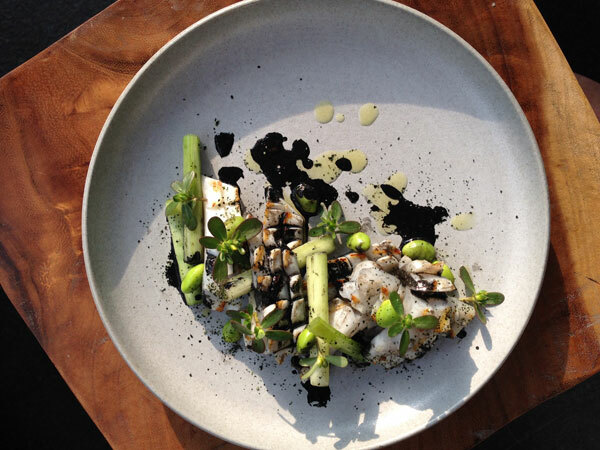 Chef Steven Skelly’s Seminyak bistro Urchin is proof that the movement is alive, well, and serving great food. The first surprise is that while the raw food movement might have quite a few vegetarian fans, some of the raw dishes on offer are anything but meatless. Think in terms of an eye-poppingly sumptuous steak tartare, or a just-so arranged carpaccio of coral trout. When preparing uncooked proteins, the flavor of the ingredients will either make or break a dish, and the obvious care brought to the sourcing of product is pretty unmistakable. In short: Steak tartare will always either be the best course on the menu, or it’ll be entirely unfortunate. Chef Skelly’s kitchen knows what they’re doing. Of course, we’d look pretty foolish if we didn’t mention two words on the sign out front: ‘and Grill’. Urchin’s entree course is almost entirely given over to local seafood, with the roasted barramundi being a particularly homey plate of fantastic, served with an earthy mix of lentils, beetroot, and crisp bacon pieces. After the carpaccio, you’ve probably already assumed that the seafood is caught locally, but the entrees destroy any doubt what-so-ever. 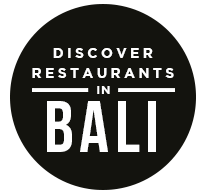 Qraved Journal has written before about the Seminyak Renaissance that has turned this stretch of Bali into one of the most exciting places to eat in Southeast Asia. Urchin has made the question ‘Where do we go eat tonight?’ an even tougher decision to make, and that’s the best kind of problem to have. Yes, good chemistry is important in romance, in cooking, and in finding the right dining app for you. Have you met the Qraved App for iOS or Android? We think you’ll hit it off. The post Passions Are Raw at Seminyak’s Urchin appeared first on Qraved Journal.